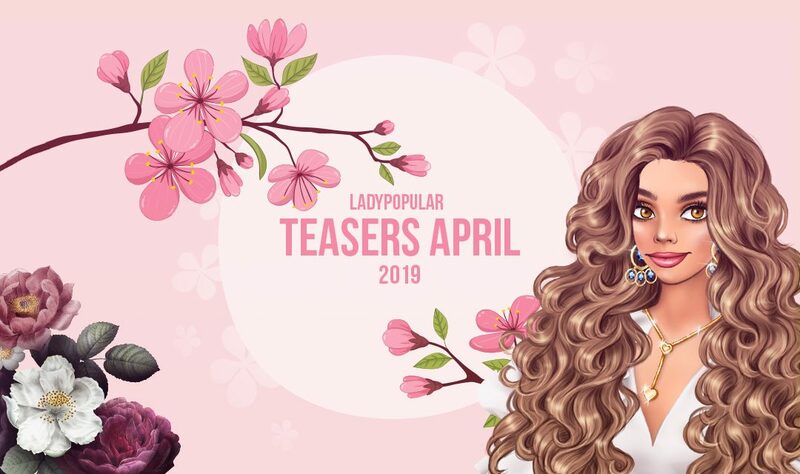 Are you curious about what is coming up in Lady Popular in April? Spring is already here and I am so happy and ready for the warm weather, blooming trees and spring mood. I am as excited as you are about what we will have in Lady Popular in April. I decided to give you some inside information, directly from our artists’ folders and show you what they have been working on. Every woman needs to feel unique, be strong and look beautiful. 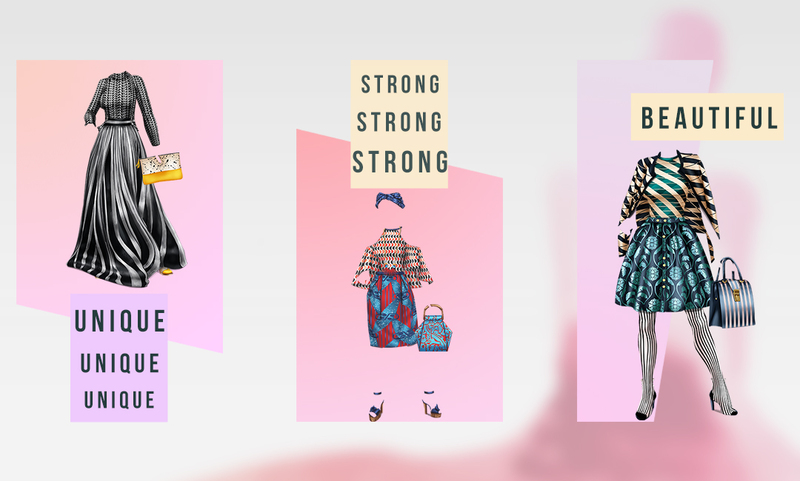 Keeping that in mind and in a combination of these trendy and stylish fashion items, you will give your lady the perfect look. 2. Easter is such a lovely holiday with great traditions. That is why Lady Popular decided to bring that atmosphere in the game with an amazing event. 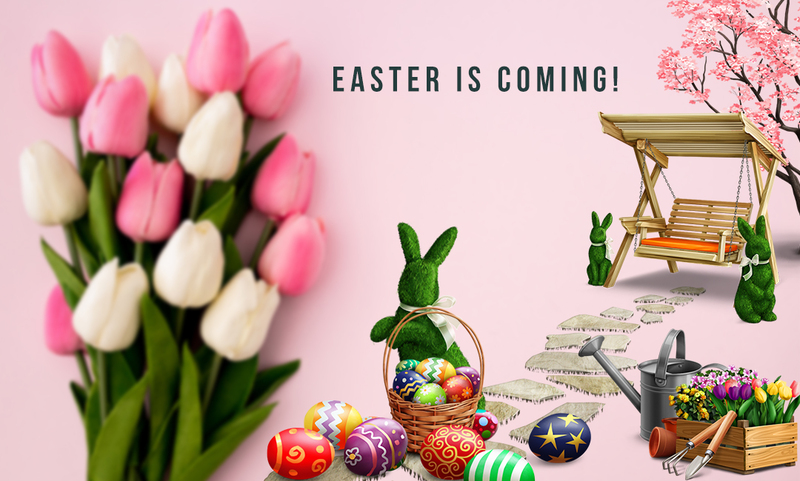 Our artists prepared for you so many cool stuff – designer outfits, new hairstyles and some furniture, so you can welcome the spring to your apartment. 3. Long curly hair looks good on everybody. I personally love long hair with volume, especially if this is your natural hairstyle. 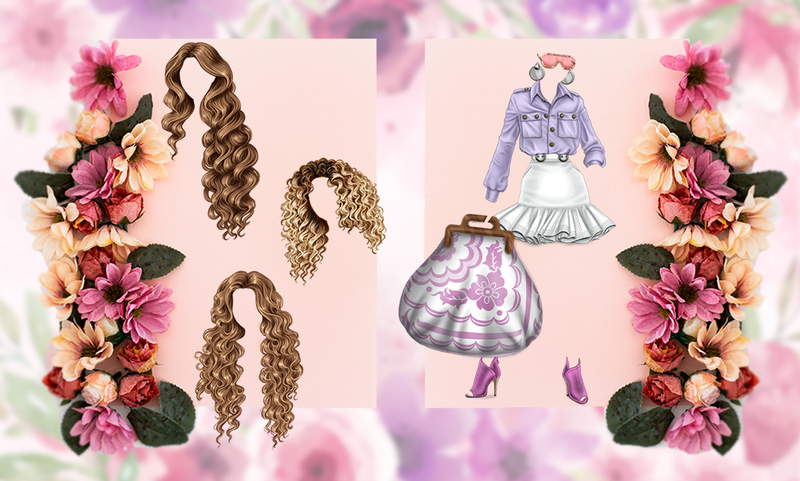 This collection is combining those beautiful hairstyles and spring clothes. Pastel colors, flower motifs and fresh look – this is the inspiration for the collection. April is so close and all this spring mood will become part of Lady Popular. I am sure that you will love the all upcoming stuff. Some of my favorite flashback events and collections are coming back in April as well. Were you also waiting for the spring to come? Are you excited about what is coming up in April? I just went to buy the new hair, but they’re gone! I thought the hair would be there permanently. Could you guys maybe put a warning next time that the hair will disappear from the beauty salon? Would you favor us with a colorful variety of fingernail polish? Also, it would be wonderful to have long and short lengths. i have just one question though. how do you get the new hairstyles when they come out? would you get them from the salon but would have to pay or….? also does this go for the men as well? like do they get new clothes or is that not part of it? i just came up with a random idea while playing the game, why don’t you put some new facial expressions for the mouth and eyes? my idea for the mouth facial is a bubble gum. you know when you eat gum then blow it? yeah like this. and for the eyes facial expression is connected to the bubble gum idea where the eyes move to it’s inner edge staring at the bubble gum as it’s blow. and a jacket that is hanging on the character shoulders with the right hand holding a sun glasses moving it a bit down that allows half of the eyes to appear staring up. I have a question if you can answering me! Those hairstyles will be available at beauty salon or in a event???? Please, tell me, I started to saved so many emeralds and diamonds for them! Como se consiguen las pelucas? Maybe I can buy it for my cute girl….. I love the long hair styles too and while I do not celebrate Easter because I am a rabbit sanctuary I would love a new bunny pet. PLEASE! I can’t wait to get these hairstyles! Okay, this is so amazing! I can’t wait! OMG! This game is fantastic but the diamonds do not have all the girls.